We all know that Los Angeles is where most people come if they are looking for a career in entertainment. Whether it’s in television, radio, or music you can find someone working towards their goal of “making it big”. However, there are many hidden treasures, so to speak, in this populous city. I’m referring to the talented musicians that haven’t “made it” yet. 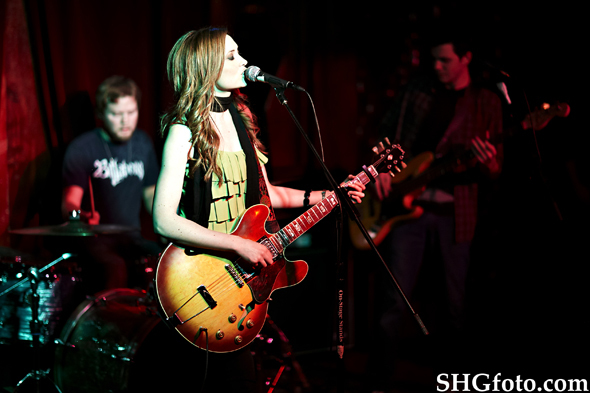 You can usually find them performing at smaller live music venues such as The Hotel Café, The Viper Room, Whisky A Go Go, The Roxy, The Troubadour and The House of Blues, to name a few. Maybe you’ve heard of all these places, but have you really gone on a night when local bands perform? I would highly recommend anyone who enjoys discovering new bands to explore these places. 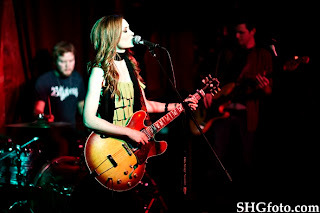 The Hotel Café is located in Hollywood and mainly features singer/songwriter, alternative and acoustic music. It is a 21 and over venue but this place also offers an affordable dining experience. It’s one of the smaller music spots but artists such as Anna Nalick, Matt Hires, Meiko, and Sara Bareilles have performed there. The Whisky A Go Go, often referred to as The Whisky, is located on the Sunset Strip in West Hollywood and has been around since the 60’s. If you enjoy listening to rock or metal music this is the place to go. There’s an up stairs and a down stairs where you can enjoy the live music as well as a few tables if you prefer to sit while enjoying your drink. Since this place has been around for years it has had a lot of well-known musicians perform on its stage. The Viper Room is just down the street from The Whisky and use to be partially owned by Johnny Depp. This spot is small as well but features a downstairs bar where most musicians performing hangout before going on stage. The House of Blues is another music place located on the Sunset Strip not too far from The Viper Room and The Whisky A Go Go. There is another location in Anaheim, but I usually go to the one on the Sunset Strip. This is the place where I saw my first concert. They have tons of well known bands and artist playing all the time but it's just as fun when you go on a night when local bands are on stage. Los Angeles with its surrounding cities is huge when you think about it. There are tons of places you can visit and hang out at to listen to live music. Don’t limit yourself. It’s a lot of fun to explore your own city. You never know what you might find. I really enjoy studying on this website , it has superb content . “Beauty in things exist in the mind which contemplates them.” by David Hume.